Saving for a down payment is often the largest obstacle to overcome for homebuyers. When paying monthly rent, household expenses such as utilities, cell phone service, the cost of commuting, and groceries, and perhaps making payments towards car loans, school loans, or credit cards, it’s not uncommon for there not to be much left over at the end of each month. Then factor in the competing priorities for savings such as retirement, children’s’ education, and an emergency fund, it’s no wonder that so many individuals, couples, and families don’t have a large sum ready to put towards a down payment. A Down Payment Assistance Program can be an excellent option for many would-be homeowners who are held back by the lack of down payment funds. Working in this niche can be a great way to reach new borrowers, keep your pipeline full, and have the fulfilling experience of helping first time buyers reach their dreams of homeownership. So how do you sell this option to potential clients? Here are some things to keep in mind. The first step for many of these homebuyers will be to identify the Down Payment Assistance Program or Programs that they are eligible for. Educate yourself on the most widely available so you can help determine whether they will be a good fit. Know where to direct your clients to research additional programs in their area. The FHA and National Homebuyers Fund are good places to start. The U.S. Department of Housing and Urban Development (HUD) also lists local options by state on their website. If you primarily serve your local market check with your county and the cities and towns in your area for any additional programs. Each program will have its own requirements, so it’s critical to ensure that your borrowers pay close attention to these. They may be required to live in the home as a primary residence for a set period of time before selling or renting it out. There could be restrictions about the size or location of the property. Some options might be available only to first time homebuyers. 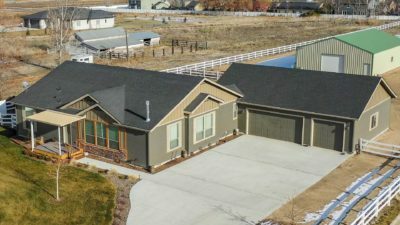 As enticing as Down Payment Assistance Programs are, it’s not uncommon to hear as an objection from potential clients that it all sounds “too good to be true.” Today’s consumers are wise to be wary given the prevalence of scams, gimmicks, and fraudulent practices that center around housing, home buying, and home financing. Acknowledge your clients’ fears, and work to set their minds at ease by reviewing the history of these programs and the organizations that provide them. At the same time point out the work that must be done in order to qualify. In some cases, there might be a homebuying course they need to complete, or they could be required to have a few meetings with a financial counselor. Most borrowers won’t see these as overly burdensome barriers but mentioning these elements of the process shows that there is thought behind the programs. The entities providing them want to see not just the purchase of real estate, but long term successful homeownership and financial independence. Incorporating Down Payment Assistance Loans into your lending offerings can be an excellent way to continue to build and diversify your business.